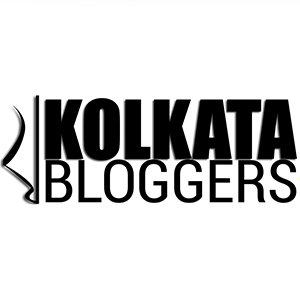 January 21, 2018 January 21, 2018 Categories bakery, food tasting, Product Review, Restaurant reviewbakery, bakery products, bakery review, cakes, colorful cupcake, cookies, cupcake, cupcake for kids, cupcakes, food blogger, food blogger kolkata, fresh bakes, home bakers, homebaker, kolkata bakery, pounds of happiness, saltlake bakeryLeave a Comment on ‘Pounds of Happiness’ and the colourful boxes of joy! It’s always said that do what you love to do, don’t choose something as your career which you never wanted to. Parents often tend to push their children to take up orthodox professions which are proven, time-tested with guaranteed benefits and returns. But they tend to forget asking their children if they really want to take that up as their career, the result can be disastrous, as we all know. So, I always support the idea that one should do what he/she wants to do or loves to do! And a recent example to support this thought of mine was a home baker to whom I got introduced pretty lately. She is Poonam and runs a lovely bakery in Saltlake (Kolkata) from her home called ‘Pounds of Happiness’. She always loved baking and hence she chose to spread her love for baking by taking this up as her career. The result is absolutely brilliant, believe me! ‘Pounds of Happiness’ is a home bakery (in DL Block, Salt Lake) that relies only on Home-Delivery and Take Away orders. They bake cakes, cupcakes, cookies, cake pops, brownies and many more such items. You can order your birthday cakes from them and ask for any custom design as well. This place started its operations in June 2015 and is making the ‘sweetest part of India’ even sweeter with all their cakes, cupcakes and other bakery items! I have tasted their signature cupcakes and I was pretty impressed. When the two cute, colourful boxes of joy were delivered I was absolutely elated and I could actually see the cupcakes inside which looked so good and appetizing! The cupcakes were of four different colours – yellow, green, pink and red. My son was almost jumping and screaming in joy after a sight of these vibrant, colourful beauties! The kids would surely adore these colourful cupcakes. All these cupcakes are collectively called ‘Colours of Happiness’ and they are basically Vanilla flavoured cupcakes with loads of choco-chips inside. The cupcakes are then topped with a classic whipped cream frosting with multicolour sprinklers on top! Basically, they tasted same and pretty good but looked different for the different colours. And yes, they were pretty soft and fluffy! Not sure, but it would be good if natural colours extracted from vegetables or fruits are used as a colouring agent, in that process the cakes will also taste a bit different from one another. The packaging was pretty good and colourful. And the custom-made boxes were perfect to hold the cupcakes tight in their place. The products are pretty good and worth every penny. Quality never gets compromised here, at any cost! I am sure everyone looks for one such bakery that they can completely trust, especially when they are buying some stuff for their family! But I would really like them to see in popular food ordering apps like Swiggy and Zomato; it would be more convenient for us to order from them once that is done. Final Verdict: A big thumbs up from my side! I would surely order from them and recommend ‘Pounds of Happiness’ to others. I am sure you would love them as well. Disclaimer: The cupcakes were sent across by the ‘Pounds of Happiness’ management for review purpose. Previous Post Level Seven – Get hooked to the newest rooftop lounge in the city of joy!! Next Post ‘Bosphorus Churros’ brings the touch of España in Calcutta!